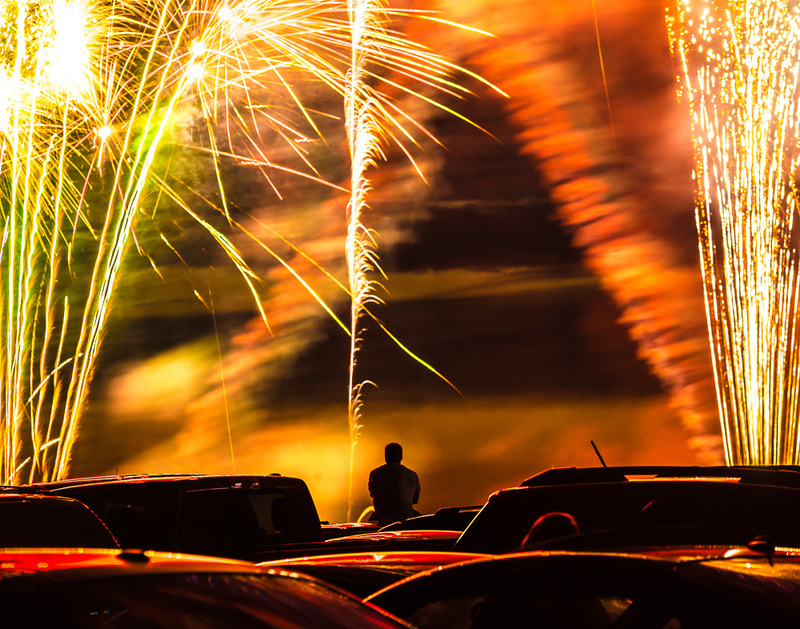 This photo was taken during the firework display during on the fourth of July at Soaring Eagle Casino in Mt Pleasant, Michigan. After capturing several traditional firework images I decided to try something different. This photos is of the silhouette of a fellow firework spectator with the reflections of the firework in the cars surrounding him.